This product can only be appreciated from April to May and its unique, delicate flavour has a high nutritional value, in fact it is rich in mineral salts, such as calcium, iron, potassium, selenium group B vitamins and vitamin C. You will have the chance to visit a farm and understand how much time and manual labour are necessary to transform the asparagus in a selling product. 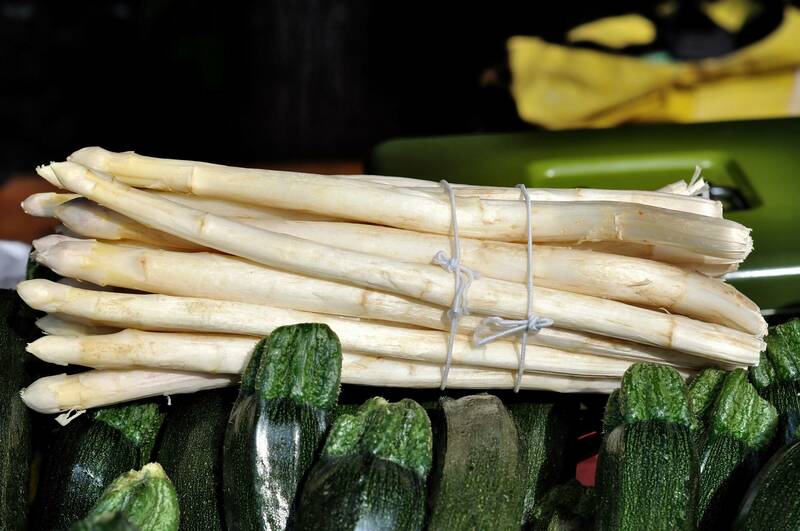 Then you will have the opportunity to taste some products with the asparagus as the main ingredient and listen to the explanation of some of the countless traditional recipes. After that it is worth going a little further and get to Badoere, where you will admire the famous semi-circular Market Square, called Badoere's Rotonda. The town got its name from the noble Venetian family Badoer, who commissioned this building in 1689, suiting the needs of the farmers' market. The "Mercatino dei Trovarobe" (flea market) is still held nowadays every Sunday from 8.00am to 8:00pm.